Lately, I have been reflecting on missions. This makes sense considering that my current calling in life involves running a mission trip center. I have also been considering taking a trip to Zimbabwe for my own mission experience and I am wondering if I am able to do this. I struggle with missions. My biggest problem is that I see them as colonizing. It is so easy for a bunch of white Americans (because let's be honest, because of our broken economic system it is usually people who are white who can afford these trips) to travel with the intentions of helping the "poor, innocent Africans/Mexicans/etc." We believe that we have the answers and think about what these poor people would do if the mission team did not come. We dehumanize the people we help. We want a great story and pictures to bring home. We may learn some of the names of the people we are helping, but they are really "that person I met on my trip." We rarely continue contact following our visit. We want to choose the projects that we do. What is fun for us and what shows the biggest change to the community is most important. We want to leave our mark. If we don't, we feel that we have failed. But what if the task that most needs to be done, is not the giant construction project, but instead sitting under a tree with an elder and learning about the environmental degradation she is facing? Or perhaps we choose not to go at all. Instead, we write a check to feed orphans in China. We have done our part and feel better about ourselves. We come, we do our work, and we return to our lifestyle of abundance in the United States. We bring back stories, souvenirs, and photos but how often does it affect our lives? Shouldn't we feel convicted about the fact that we have so much and others have so little? Shouldn't we begin to ask questions about the systems and structures that prevent people from living full and abundant lives? Despite the problems I see with missions. I don't think that we can stop. People need the resources that groups bring. But I do think that mission trips need to reframe their thinking. What if they decide to use their money to pay local workers to do a project and instead commit to listen and learn? And then the important part; groups must be so fully impacted that they return home and begin to make changes in their lives. If they realize that they must change how they function, then the trip has been a success and the work towards making the world a better place has begun. 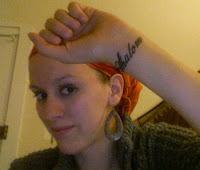 I now have a reminder of my goal to create communities of shalom that I will see daily. I am searching. I long to meet with God and yet I don't succeed. One would think that as a seminarian, I would have this figured out. But unfortunately, this is a misconception. I attend church almost every Sunday, but I only feel stress and am unable to worship. I believe this comes from working in the churches I attend. Though I am not technically working, I see the people who I work with while I worship and I cannot focus on God. Instead of focusing on God, I am focused on what I should be doing for work, past experiences, or anything but the present task at hand. I need to find a neutral space. A place where I can be nurtured and grow rather than be stressed. I think back to the evening vespers at Holden Village and I long for that community. Each evening, after dinner, the community would gather together in worship. It took a variety of forms. Sometimes it was upbeat. Other times it was solomn. But we gathered in community to pray, sing, laugh, and commune before our maker. I long to find this again.